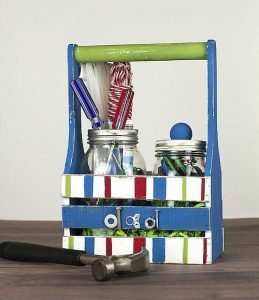 Give Dad a hand with his household chores with this Father’s Day wooden tool tote. Great project for kids. I bet Dad would even like to help build it. Supplies are inexpensive and many may already be in the garage.